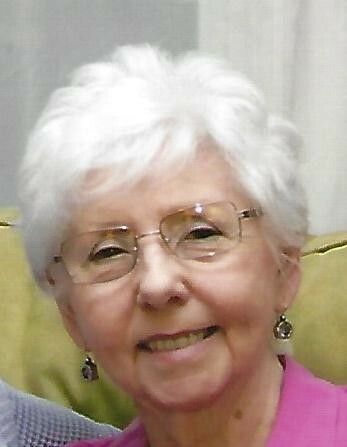 Patricia W. (Kinsella) Knox, 82, a resident of Natick, died Friday, January 18, 2019 after a lengthy illness. Born in Newton, she was the daughter of the late Robert & Dorothy (Wegerdt) Kinsella, and was the beloved wife of 43 years to Richard F. Knox. Pat had a creative eye and later in life while living in Columbus OH, graduated from Interior Design School, and worked as an interior design consultant in OH and VA.
Family was everything to Pat and besides her husband Richard, she is survived by her son, Michael D. Woodbury of Natick, her siblings, Deborah Flanagan of Natick, Richard Kinsella & his wife Marian of CA, David Kinsella of Billerica, Frederic Kinsella & his wife Peggy of NH, her step children, Chief Richard Knox & his wife Marian Steen of MO, Dr. Anthony Knox & his wife Elizabeth of ME, Lt. Col (Ret) Randolph Knox & his wife Marybeth of East Longmeadow, and Laurie Knox of FL, her grandchildren, Patrick and Mitchell Woodbury, Jessica Crandall, Gabriella, Erika, Andrew, Jennifer, Melissa, and William Hayes, her great grandchildren, Nora and Ian Crandall, as well as many nieces and nephews. Patricia’s family would like to thank the wonderful Brookhaven Hospice team for their compassionate care during the last few months of her life. Family and friends will honor and remember Pat’s life by gathering for a time of visitation in the McCarthy, McKinney & Lawler Funeral Home, 11 Lincoln St. Framingham on Saturday, February 2nd at 10 A.M. Her funeral services will follow in the funeral home at 11 o’clock. Interment will be private. In lieu of flowers, remembrances may be made to the Alzheimer’s Assn., 309 Waverly Oaks Rd., Waltham, MA 02452, www.alz.org.